As part of my coursework at UCLA in Egyptology, I enrolled in a seminar in tombs in the Theban area. 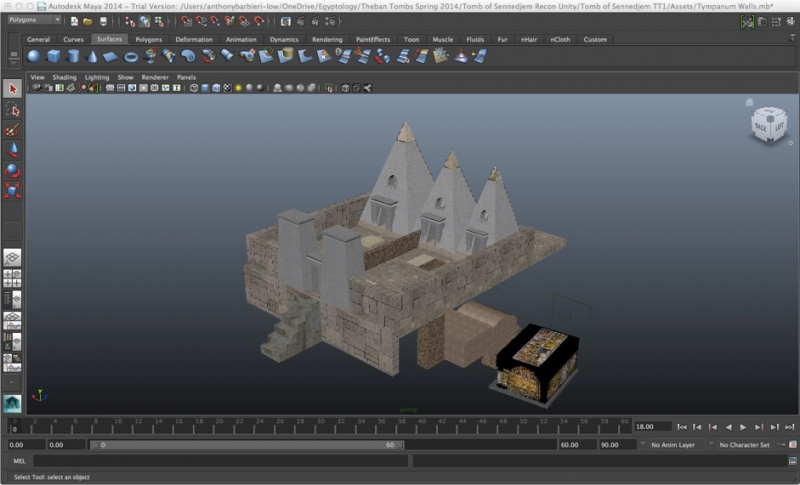 I chose to use my computer reconstruction skills to make an interactive tomb model of Theban tomb no. 1, the tomb of Sennedjem, one of the first unplundered tombs ever discovered in Egypt, back in 1885. While the objects from the tomb are scattered between several museums, primarily the Met in New York and the Cairo Museum, the tomb is still open to visitors, and has been well documented and photographed. I was able to visit the tomb in person in March of 2015. In a matter of only eight weeks, I created a model of the tomb, with its famous painted walls, as well as a model of the Nile, local vegetation, and even hippos. 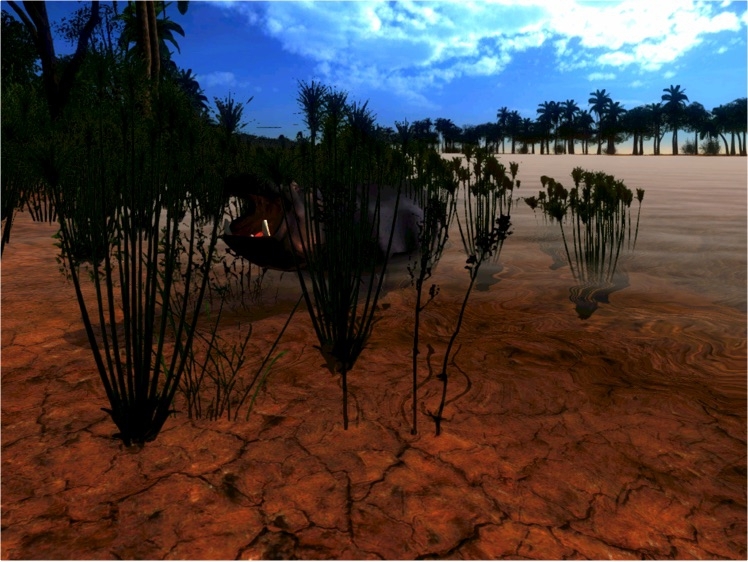 The model was placed in the game engine Unity as a first person live walkthrough. 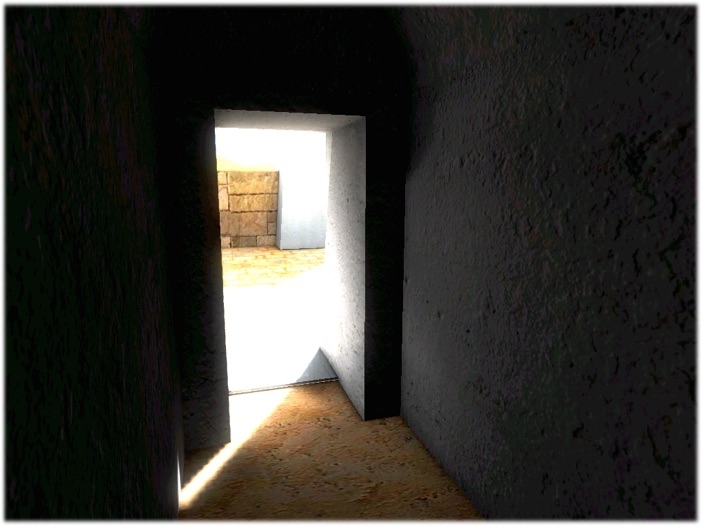 Instead of a gun as in a first-person shooter (FPS) game, the character holds a flashlight, so a “first-person flashlight” game. 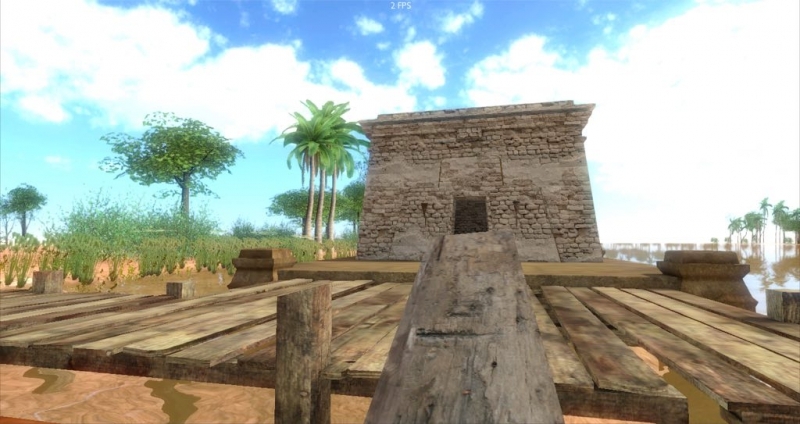 After one climbs off the boat and onto the dock (see below), the player must follow the road into the valley where the village of Deir el Medina was located. This is where the workers lived who made the royal tombs. Across from the village, where Sennedjem lived, he and his family made a tomb complex, complete with pyramid topped offering chapels. 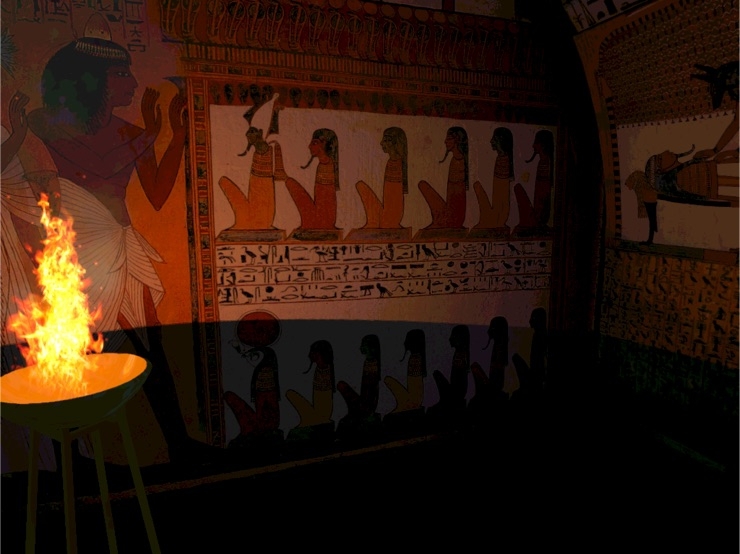 Though the game is still unfinished, I started to hyperlink the inscriptions on the painted walls in the tomb, so that when you place the cursor over an inscription, the mouse will highlight and one can read an English translation and see a hieroglyphic transcription of each inscription. I have also started to make models of some of the objects within the tomb, including the coffins, mummy masks, and some other objects. 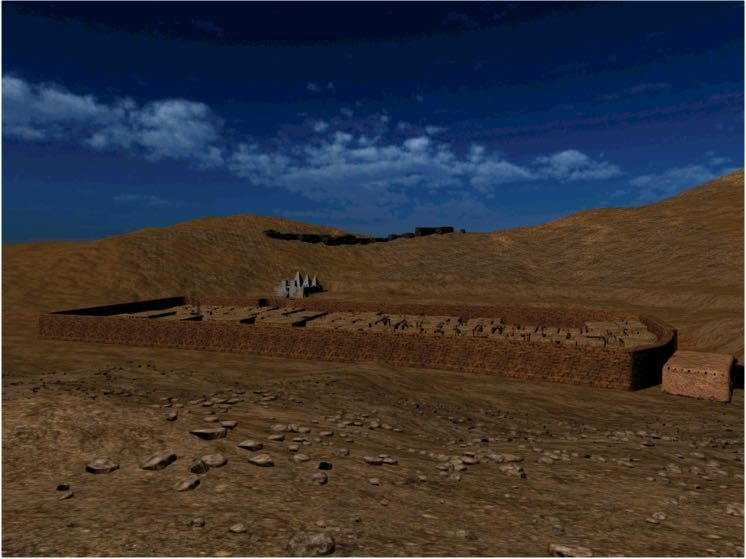 Here is a link to a WEBGL build of the game in progress. W_A_S_D for moment, C for crouch, F for flashlight, Shift key to sprint, and SPACE to jump. 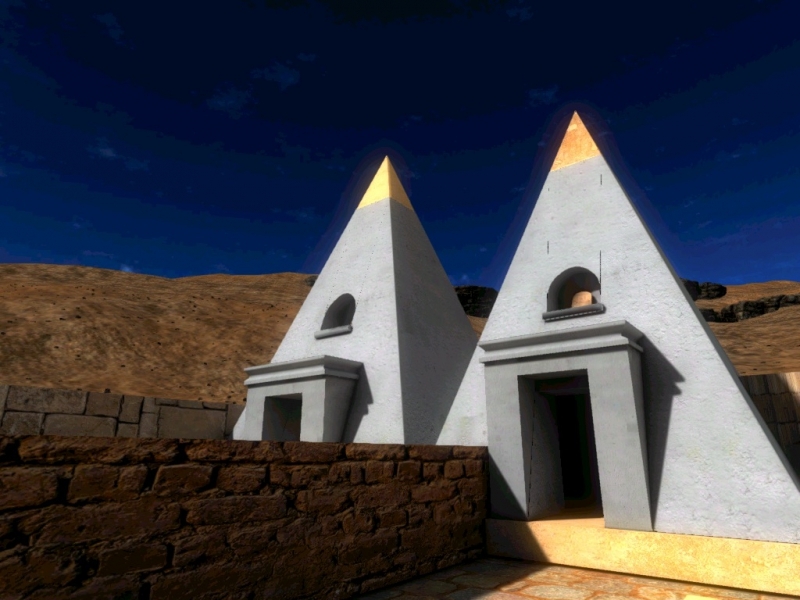 Try to find the tomb in the hills or click the button to be transported there. 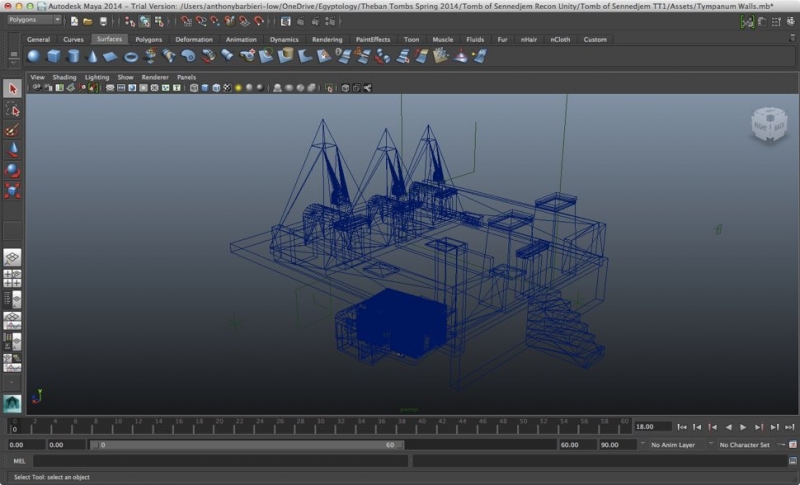 Here are some stills of the reconstruction, and a short video walkthrough of the game engine mechanics. You will also find links to Sketchfab pages of some of the models, including the outer coffin of Khonsu, the son of Sennedjem.